Cuba selfies for the day! "Despite Diplomacy Advances, Athletes Continue To Flee Cuba"
Excuse me....is that diplomacy and having relations with Cuba that your speaking? ......"In July alone, 18 athletes – two baseball players, four rowers, four soccer players and eight men’s field hockey players – all left their teams for the U.S. during international competition"
How long before this happens? How long before this happens in the above pictures? Next in line will be the removal of the embargo, the return of the Guantanamo back to Cuba, and Fidel and Raul will become altar boys! 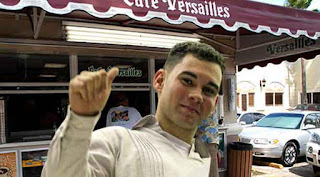 This week I just finished watching the first two episodes of the show "Cuban Chrome" on the discovery channel. The show is basically about a Cuban Car Club and the struggle for them to fix and find parts for their classic cars. 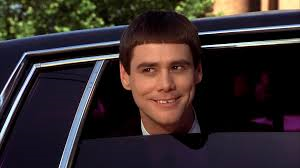 BUT......you mean to tell me with 196 countries in the world, 195 can trade with Cuba, and they don't have auto parts or no classic cars in 195 countries? No....No...No...it's all about climate control and Classic Cars in Cuba! The recent shocking news about Planned Parenthood clinics used to harvest fetal parts here in the US. Since 1973 50+ Million unborn babies have been aborted. I guess CLIMATE CHANGE, and the evil profit is more important to the Vatican? Classic 1950's cars in Cuba are more important to the American general public, than a disgusting business selling harvested fetal parts? "Rosa Maria Paya and Orlando Luis Pardo Lazo interrogated by John Kirby "
Most news media are using the term "Historic" in describing today's opening of the Cuban Embassy in Washington. In reality just a token symbolic event, while the PEOPLE of CUBA have benefited NOTHING, but the DICTATORSHIP has gained a monetary lifeline for the time being. To add insult to injury, according to reports, among the attendees will be Cuban singer-songwriter Silvio"forked tongue" Rodriguez, former parliament president Ricardo"tricky ricky" Alarcon,and Bruno "the mafia don" Rodríguez. and the dictatorship(Been in power for 56 years) demands MORE!!! 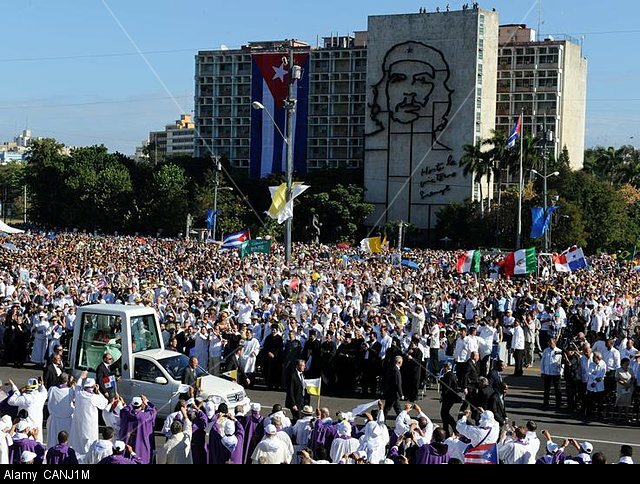 HISTORIC, NO, just another sad day for the people of Cuba, the blood of it's people still on the dictatorship's hands. but what about the people of Cuba? What about the brutality by the regime to those who think different from them? 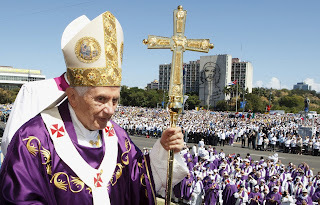 No symbolism on the Pope's recent visit to South America, no.....no...no.....The weird hammer and sickle cross gift given to the Pope in Bolivia was not a in your face symbolism? Not a symbol of MARXISM? The Vatican spokesman stating that this was created for open dialog? 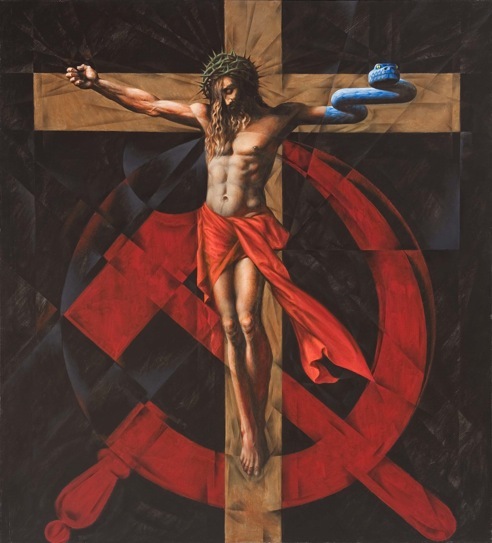 and these liberation theology symbols were not meant for MARXISM? Silence from the Vatican, silence from Archbishop Wenski, silence from the Catholic League. -Calling a group of Cuban opposition members "you all get your information from worm-infested Miami. 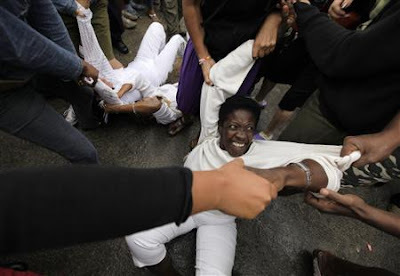 -Stating in an interview that their are "NO political prisoners in Cuba"
-Eight members of the Ladies in White activist attended a Catholic Mass wearing white , sitting in the pews in silence unless participating in the Mass. 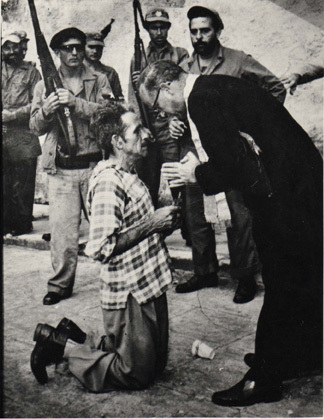 A priest in Cienfuegos expelled them from his service, ordering them never to wear white again in his church. 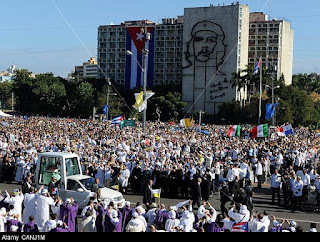 El Cafe Cubano Challenge: Those who are Catholic please wear white to Mass the next several Sundays to send a CLEAR and SILENT MESSAGE. "Carnival aims to start 'cultural' Cuba cruises next May"
Carnival Cruise Line has announced that it will start cruises to Cuba starting next May. The price will be $2,990 per person.....OUCH.....REALLY?????? If your dumb enough to pay that much, El Cafe Cubano has a list of things to do when you visit Cuba! The dicatator was seen "ALIVE" recently at a meeting with cheese masters at the Food Industry Research Institute. He discussed food production and climate change.....isn't that special. I guess "climate change" is the new buzzword and now joining with fellow buzzwords "Dialogue" and " La Paz." Here we go......setting up for the Papal visit......It's all about the "CLIMATE CHANGE"
Tomorrow, U.S. Secretary of State John Kerry will announce the establishment of diplomatic relations with the only government in the Western Hemisphere not elected by its citizens. That -- in itself -- encapsulates why this is a bad policy. The announcement comes on the same week that the Castro regime violently arrested over 226 peaceful Cuban dissidents. That makes the timing particularly distasteful. According to U.S. law ("LIBERTAD Act"), diplomatic recognition should only be considered "when the President determines that a there exists a democratically elected government in Cuba." 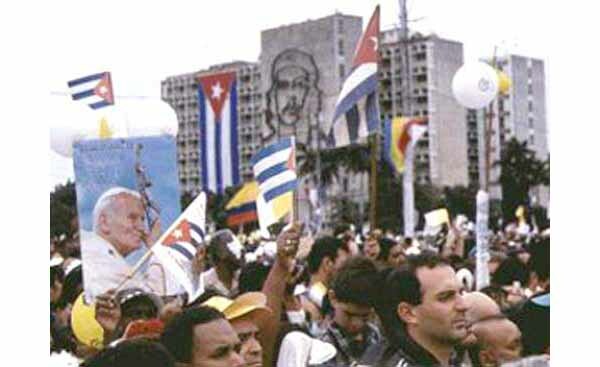 It also states that, "the satisfactory resolution of property claims by a Cuban Government recognized by the United States remains an essential condition for the full resumption of economic and diplomatic relations between the United States and Cuba." That makes the announcement in contravention of U.S. law. 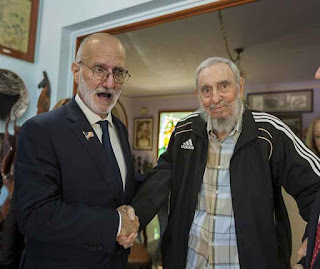 Finally, as a condition for the establishment of diplomatic relations, the Castro regime has demanded restrictions on U.S. diplomat's movement; the inspection of diplomatic pouches for the Mission; an end to the execution of democracy programs (i.e. the training of independent journalists); and the continuance of a state security cordon to intimidate Cubans from approaching the Mission. That would be in contravention of the Vienna Convention -- and unprecedented in the Western Hemisphere. Congress should closely probe these very concerning issues, withhold funding for the operation of an Embassy and block the confirmation of any Ambassador, until it receives satisfactory responses from the Obama Administration. Last month, Rubio urged Secretary of State John Kerry to prioritize action in four key areas as negotiations continue regarding the normalization of relations between the U.S. and Cuba and the possible re-opening of the U.S. embassy in Havana, and pledged to oppose the confirmation of any nominee to be U.S. ambassador to Cuba absent concrete results on political reforms and human rights, the repatriation of U.S. terrorists and fugitives being harbored in Cuba, resolving uncompensated property claims, and the removal of restrictions on U.S. diplomats in Cuba. Miami, FL — Governor Jeb Bush released the following statement in response to President Obama’s decision to re-establish diplomatic relations with Cuba. “As Americans prepare to celebrate the anniversary of our freedom from tyranny and commit anew to the democratic principles on which our nation was founded, it is no small irony that President Obama prepares to open an Embassy in Havana, further legitimizing the brutal Castro regime. I oppose the decision to further embrace the Castro regime by opening an embassy in Havana. The real test of the Obama Administration’s rapprochement with the Castro regime in Cuba is not whether President Obama’s legacy is burnished with dubious diplomatic achievements and photo-ops, but whether improved relations between Havana and Washington advance the cause of human rights and freedom for the Cuban people. The ongoing detention of dissidents and continued human rights abuses suggest the Administration’s policy is failing this test. The Obama Administration will announce tomorrow that it is normalizing relations with the government of General Raul Castro in Cuba. The operations of the American Embassy in Cuba are expected to acquiesce to a number of Cuban restrictions outside the boundaries of normal diplomatic relations. In order to be able to announce this symbolic success, President Obama will acquiesce maintaining hundreds of Cuban nationals that are employees of the Cuban government inside the American Embassy in Havana. The Administration will continue to contract employees from a Cuban government agency. Many of those employees are intelligence officers, and all of them are susceptible to pressure to spy on the diplomatic mission by the Cuban regime. 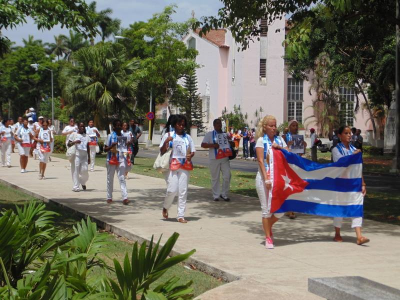 The U.S. government is not permitted to hire workers in Havana as it does elsewhere in the Americas, but it has to pay the salaries of Cubans working for a Cuban government agency for a number of positions in Havana’s American mission. In addition, it remains to be seen whether Cubans will have the same access to the American mission that they have in other Latin American countries. The American diplomatic mission in Havana is encircled by Cuban security forces that limit access to the mission. The Administration has yet to respond to Congressional questions about whether General Castro has agreed not to open up America’s diplomatic pouch, as it has done in the past in contravention of the Vienna Convention. 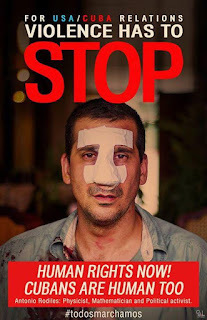 President Obama’s Cuba legacy now includes actively participating in Raul Castro’s smokescreen covering up increasing repression and abuse of Cubans. On this Fourth of July, Cubans who disagree with Raul Castro’s government will not be invited to attend the celebration hosted by the U.S. in Havana. 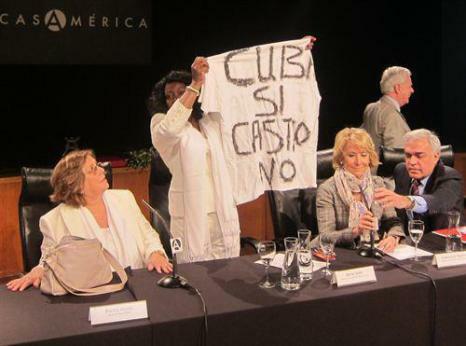 Cuba’s Foreign Minister has had a virtual veto on who is invited to those receptions, and the Administration instead organizes a separate event for Cuba’s opposition. 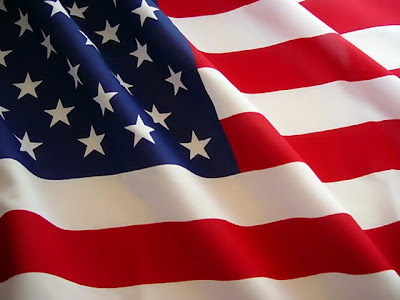 This is not the way America’s independence is celebrated in Buenos Aires, San Jose, Costa Rica, Mexico City, and elsewhere, where representatives of those societies are invited and the host governments do not tell the Americans whom to invite. 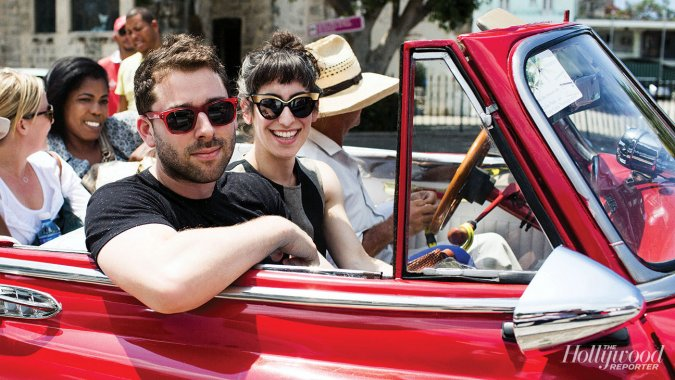 "Hollywood Insiders Descend on Havana"
That's the problem.....every time their is a article or post about people visiting Cuba, the first picture you get is that of them riding in a "classic" car in Havana and making the obligatory stop at Ernest Hemingway’s former home. Do I have to do a post titled: " Cuba for Dummies?" 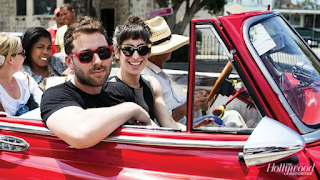 Apparently they have not read: "The top 10 things to do when visiting Cuba"
They are riding in classic cars, because that's ALL that the FREAKING Cubans have!!!! No ADVANCEMENT in the last 56 years!!!!! 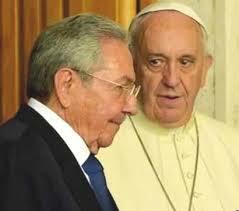 It's ALL because of the DICTATOR BROTHERS have destroyed Cuba. The Pope will visit the poor, congress, and those in prison in the United States. 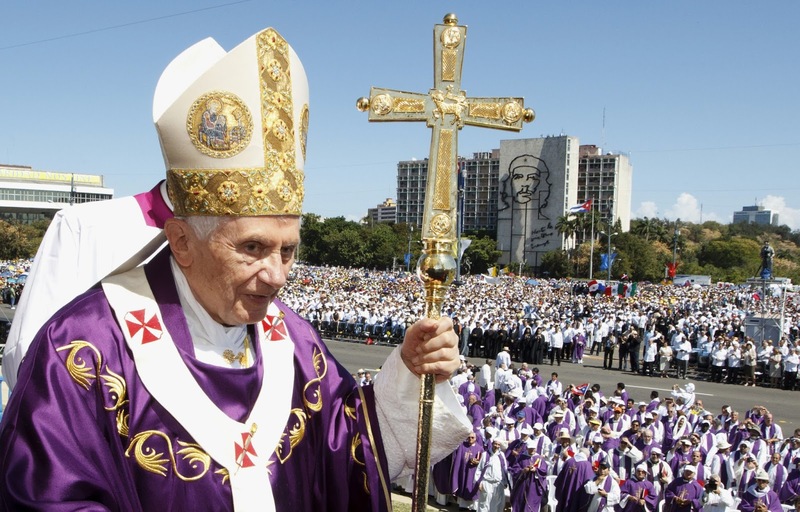 In Cuba the Pope will celebrate mass at several locations and perform other functions, but NO VISIT to POLITICAL PRISONERS? That's right Alfredo! 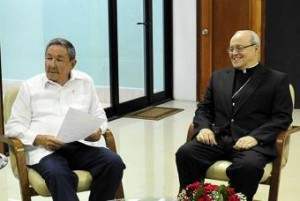 The good CARDINAL stated that their are NO political prisoners in Cuba! So why would he visit the prisons in Cuba? In honor of NO POLITICAL PRISONERS in Cuba, El Cafe Cubano will run non-stop posts of the NON POLITICAL PRISONERS past and present in Cuba. Born in Ciego de Avila, province of Camagüey, Cuba, on July 1st, 1936, at the beginnings of 1960 he was on the mountains of Escambray, already having joined the First National Front of the Escambray. He was captured that same year and condemned to 30 years of prison and forced labor, of which he served 28 years. He suffered the most brutal tortures as a result of continuous harassment for 24 hours a day and seven days a week, as he describes in an autobiographical piece, tortures against which he built a shield of virile resistance, honoring his condition of “plantado”. 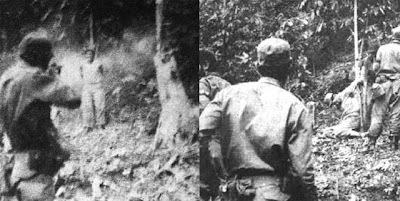 In a 1999 interview with The Associated Press, he defined a "plantado" as a person who firmly plants his feet while struggling for freedom and democracy in Cuba. 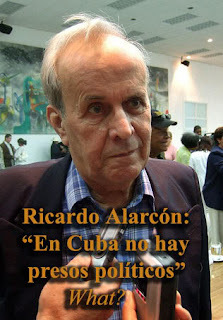 He came to the United States as an exile in 1988, and since then has spent every day and every hour fighting for Cuba’s liberty in Los Angeles, California, through his involvement in the LIBREPROC Association, the World Federation of Cuban Political Prisoners and in Miami, Florida as delegate and president of "Plantados until Freedom and Democracy in Cuba," and also as president of Unidad Cubana (Cuban Union). Peñalver received love and admiration from his peers and friends because of his chivalry, generosity, frankness, sense of humor, and strength of character to never deviate from what is morally right. May the soul of Eusebio Peñalver Mazorra rest in the peace of the Lord.